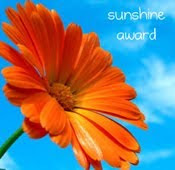 The rules to accept the award are: thank the person who gave you the award and link back to them. Tell us something about yourself. Nominate 10 other bloggers for the award. I didn't even know what a blog was until about 18 months ago! I won't insist that any of you copy this meme, but feel free to let me know in the comments if you choose to! just wanted to comment on one of your points - number 9, I have not thought of you as FAT neither would I consider you so - I am amazed that people think that it is ok to comment on ones appearance in such a negative way. Well, I appreciate that you don't think of me as fat. This is the heaviest I've ever been, and it's 20kg more than I weighed three years ago. But you're right - I can't understand what people get from being so rude, either. You've never had any fillings wow! I thought I was good with 2 in 10 years. But good job!! Hahaha must have been those fluoride tablets when I was a kid!